100 Chrysler Pacifica Hybrid minivans to get this. 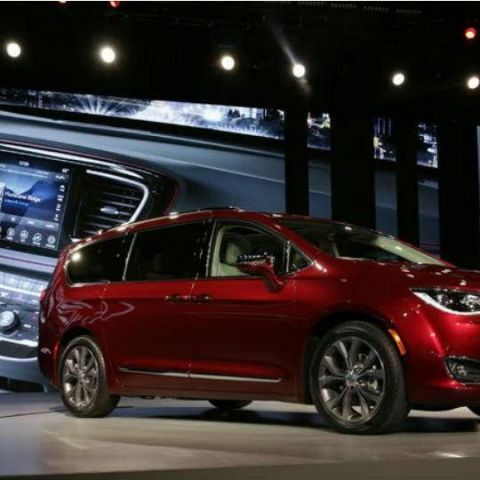 Alphabet Inc., Google’s parent company, and Fiat Chrysler Automobiles NV have agreed to incorporate Alphabet’s self-driving technology into 100 Chrysler minivans. This will be Alphabet’s first partnership with a major auto maker. Both the companies will collaborate to redesign the 2017 Pacifica Hybrid minivan, which would be integrating Alphabet’s computers, sensors and software. This will expand the current test fleet of self-driving vehicles. The goal is to have the first set of driverless minivans on the road by the end of 2016. The current fleet of 70 self-driving cars has driven more than 1.5 million miles in California, Washington, Texas and Arizona. This is a significant win for Fiat Chrysler, since it now has the entry into the steadily growing driverless tech space. Its competitors, Toyota Motor Corp. and General Motors Co. have been investing in driverless technology on their own, having been hesitant to work with Alphabet. Fiat Chrysler's Chief Executive, Sergio Marchionne, said, “the experience both companies gain will be fundamental to delivering automotive technology solutions.” In the future, this deal will help both the companies to design a new vehicle from the scratch, rather than retro-fitting a current model. Alphabet has stated that it has no plans to build cars on its own. Alphabet and Fiat Chrysler plan to release one prototype around the time of the North American International Auto show in Detroit. The Auto show will include space and test track area for these autonomous vehicles.